Suzannah B. Troy artist: NYC Gov Mega Scandals CityTime SAIC Bosses on Wash100 Class of 2015 nominations? NYC Gov Mega Scandals CityTime SAIC Bosses on Wash100 Class of 2015 nominations? Whoopsie! SAIC top dogs CityTime on the list how about top dogs contractors that were stealing on a bigger crime New York City gov 911? Are they on the list? No? How back NY Pensions look at who owns stock in companies that mean ripping off the taxpayers? Mark Sopp SAIC scandal like a tattoo ? ex CFO during the CityTime Scandal and the latest to jump ship from SAIC aka Leidos (means "to leer" in spanish) makes the who's who on Wash100 list last week. In fact " A" bunch of ex and new SAIC insider execs show up on this class list...as well as SAIC's auditor Deloitte firm (during CityTime) as well as Deltek SAIC's timekeeping software Company, pretty ironic, did you know SAIC did NOT have its own a timekeeping system during a chunk of the CityTime mess? I called for Deloitte to pay the city of New York money back because they were SEAC is auditors and I believe Ray Kelly ahead of the NYPD before he left brokered a lucrative deal with Deloitte courtesy of New York City taxpayers? Ray Kelly wanted to be the head of Homeland security so he wasn't blowing the whistle on anyone and whether it was CityTime or 911 top defense contractors were robbing us New York City government tax payer dollars record amount of open season looting with their lobbyists many X New York City government employees from deputy mayor's under Rudy Giuliani to heads of department of information technology DOITT under Bloomberg lobbyists to lobbyist like George Arzt for HEwlett Packard helps to put Scott Stringer in office as a New York City government comptroller when he can't do his own accounting and mysteriously Scott Stringer doesn't want to criminal prosecution of HP and other contractors possibly Northrop Grumman Motorola Verizon and others many connected to huge military or defense contracts homeland security and FirstNet. FirstNet now under federal investigation. SAIC May have violated their deferred prosecution agreement with Preet Bharara but this is a guy who would not go back in time protecting top brass and isn't looking to really hold SAIC accountable. Preet Bharara did not arrest one top official SAIC or NYC guff not Joe Bondy no one. SAIC NSA trailblazer SAIC FBI Trilogy ring any bells it's a short list of a very long list. Suzannah B. Troy artist: CityTime SAIC PDF Exposing SAIC Can't Keep their own Time Vanishes! Class flirt, mostly likely to exceed, most popular? You guessed it...SAIC aka LEIDOS and DELOITTE make the cut!!!. Exactly like high school. Wash100 is an elite group that chooses its own to make the list. Patting themselves on the back again. They must have back aches by this point, with all that bending ;_0! 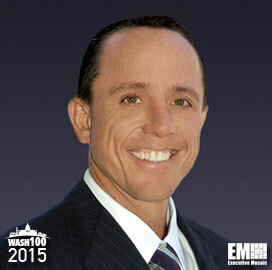 "The Wash100 is the premier group of private and public sector leaders selected by Executive Mosaic’s organizational and editorial leadership as the most influential figures in the GovCon sector and recognized for their push to drive vision, innovation and achievement for American citizens."